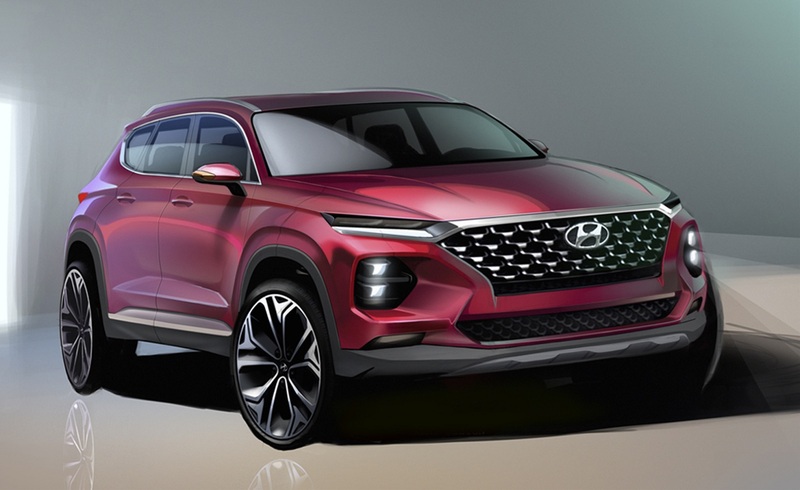 Hyundai Motor Company unveiled its first rendering of the upcoming All-New Santa Fe, showcasing a luxurious and striking design based on its robust, stylish and voluminous composition, which reflects Hyundai’s new SUV design identity. 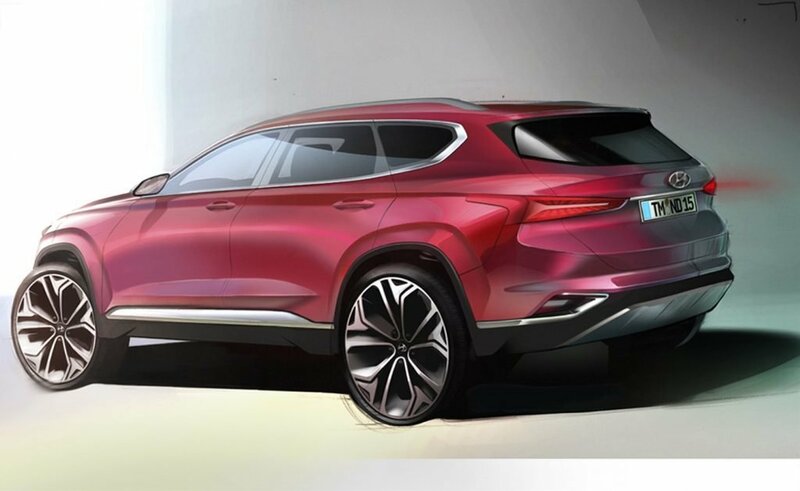 The exterior rendering highlights the magnificent frontal section of the All-New Santa Fe. Introducing a large cascading grille complimented by a separate headlight system featuring divided daytime running lights (DRLs) and main lamps. Combined they create a unique, futuristic look. The side rendering showcases the vehicle’s dynamic characteristics. A simple yet sleek roof line and the side character line running from the headlights to the taillights merge to form a harmonious look and feel. The rear section features both a confident and stable stance with unique taillights, dual mufflers, and a voluminous bumper design.